The Sycamores offers modern, contemporary living space combined with the cosiness and comfort of a country retreat. The barn has an open plan feel with exposed beams, a chic wall mounted fire, and full glass doors that all open onto a small decked garden - perfect for summer BBQs or socialising after a busy day exploring the surrounding Mendip Hills, an Area of Outstanding Natural Beauty. Both bedrooms have their own bathroom, one of these being en suite, and there is plenty of room outside as the barn is set on a small private estate, with the additional attraction of some very nosey alpacas. A paddock can even be provided for visiting horses with more details on stabling available on request. The Sycamores is part of a recently renovated farm complex and is approached via a secluded and stunning tree-lined private drive. Although the barn is tucked away in the beautiful and relaxing Somerset countryside, it is in fact, only two miles from the historic market town of Shepton Mallet, five miles from the beautiful medieval city of Wells and within ten minutes drive to Bath park and ride service. 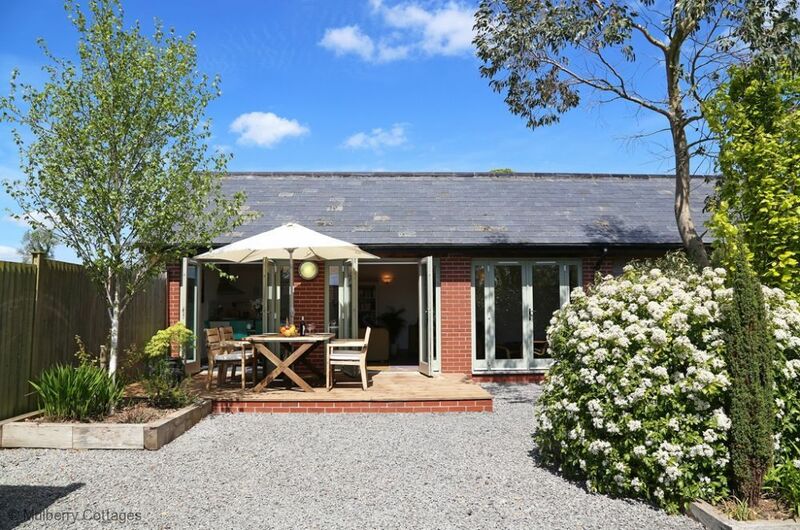 In addition, it is close to the Royal Bath and West Showground and is also conveniently located for the world-famous Glastonbury music festival. This really is a perfect location to visit everything that is on offer in the great area of the south west of England. There is plenty of space for children to run around as the property is 2 miles from the road. There are alpacas and horses in the field. If guests require use of the sofa bed, 2 weeks notice will be needed. Perfectly located for the Glastonbury Festival. A short drive to the historic market town of Shepton Mallet and only five miles from the beautiful medieval city of Wells.